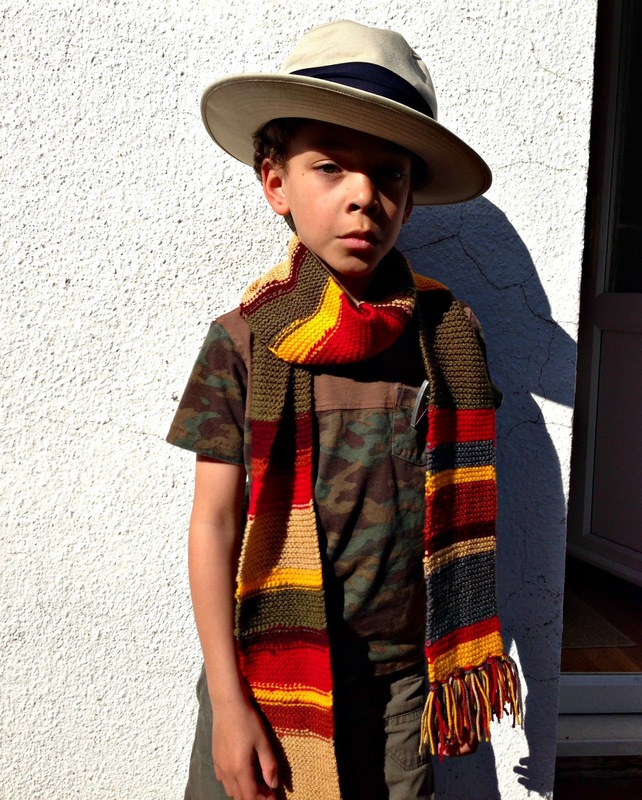 15/52: I finally got around to putting a fringe on the kid-sized version of the Fourth Doctor scarf that I knitted for Lucas. Here he is, doing his very best Tom Baker, at the front door. Would you like a jelly baby? 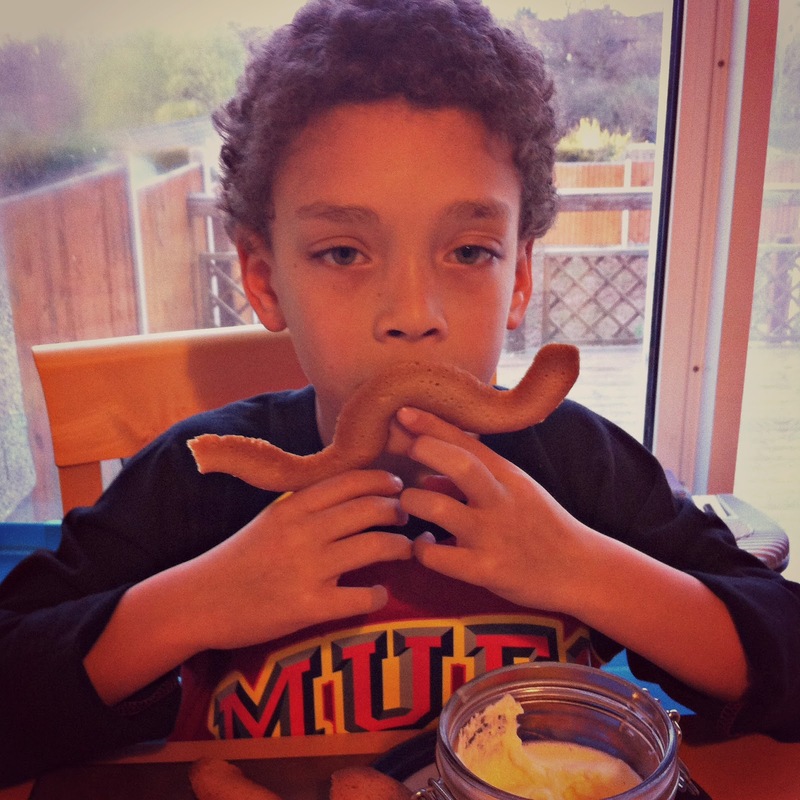 13/52: Lucas wearing the biscuit moustache that he piped while making my Mother's Day dinner. I still have no idea why moustaches are suddenly in but Lucas looked pretty good with one! It doubled up as an awesome dunker for the white chocolate mousse in the jar. 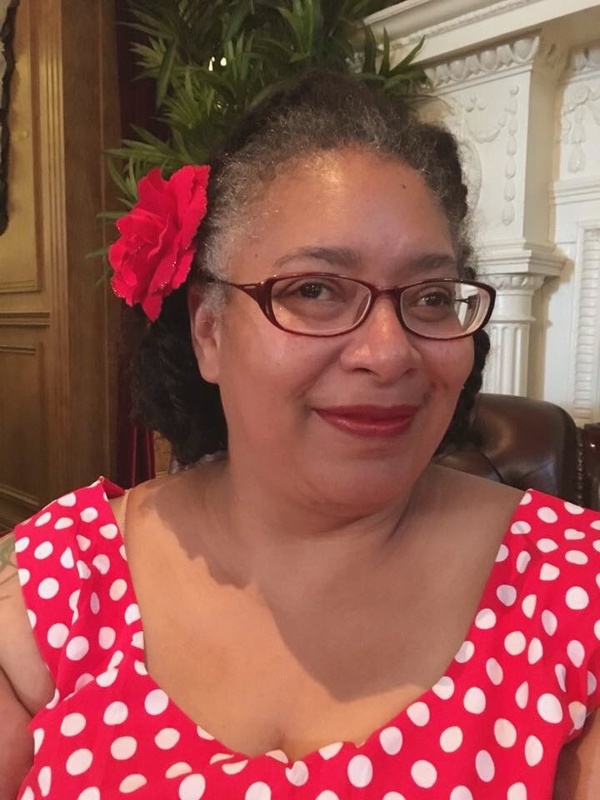 Joining in with Jodie's 52 Project! So much awesomeness in one post! Nice to see a catchup! The scarf looks amazing but the stand out bit of this post (apart from Lucas' handsome chops) has to be dunkworthy 'tache biscuits. Genius. I don't blame him, I frickin' loved Captain America (Chris Evans' attractiveness had nothing to do with, honest!) 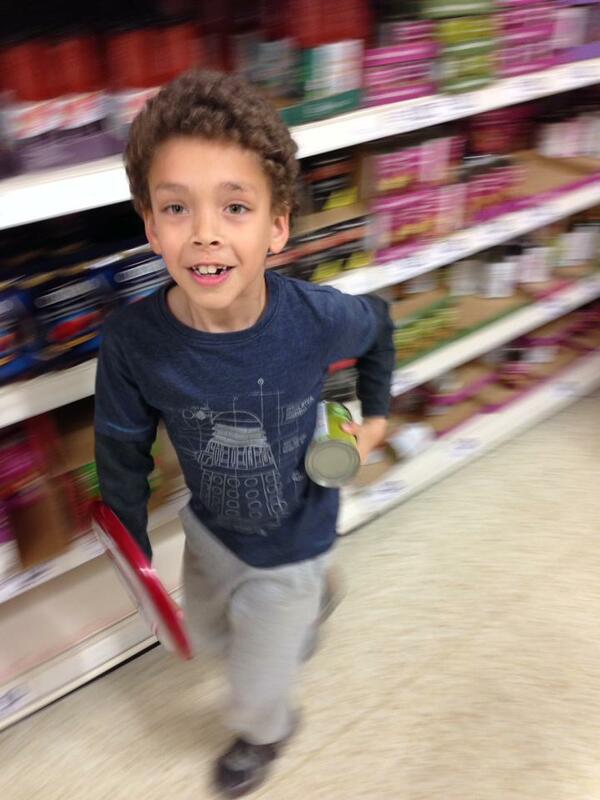 and wish I could run around the supermarket with a shield or maybe as Natasha?